Santee Town Center. Image courtesy City of Santee. The mayor of West Sacramento blasted Santee for being a “rogue city” that hijacked sales tax revenue to which it is not entitled. City leaders in West Sacramento are fuming over the loss of $600,000 in sales tax revenue from HD Supply, a home improvement products distributor with a large facility in West Sacramento. 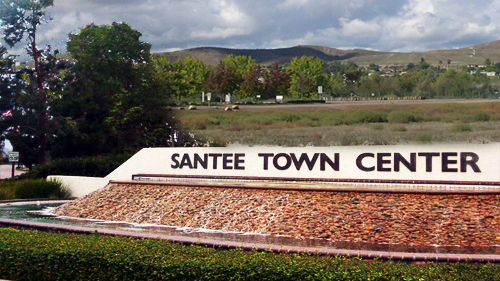 The City of Santee made a sweetheart deal to hijack the money, according to a report in the Sacramento Bee. The Florida-based company consolidated its point-of-sale operations in Santee, in suburban San Diego County, so that all its local sales tax would go to that city. In return, Santee agreed to rebate 50 percent of its collections if HD Supply’s California tax revenue exceeds $500,000 annually, the newspaper said. West Sacramento City Manager Martin Tuttle told the newspaper that HD Supply had previously fielded orders from its office in West Sacramento, making the city the point of sale for orders and netting the city nearly $1 million annually. Santee officials have defended the economic benefits of the deal with HD Supply. Santee’s finance director, Tim McDermott, told the Bee that the 20-year- agreement with HD Supply has netted Santee about $1 million. In response, West Sacramento has championed Senate Bill 533, introduced by state Sen. Richard Pan, D-Sacramento. The bill would close loopholes that allow companies to reassign their sales tax to another area without having to close their original location. If passed, the bill would not affect the existing agreement between HD Supply and Santee. The bill was to be heard in the state’s Senate Appropriations Committee Monday, according to the paper.